SO, a few days ago you should have received the first paycheck with your raise! This is probably exciting for everyone, life-changing for many. In all the excitement, though (if you have any energy left to spare after launching the new semester and living through the current state of our public sphere), don’t forget to #CheckYourCheck! 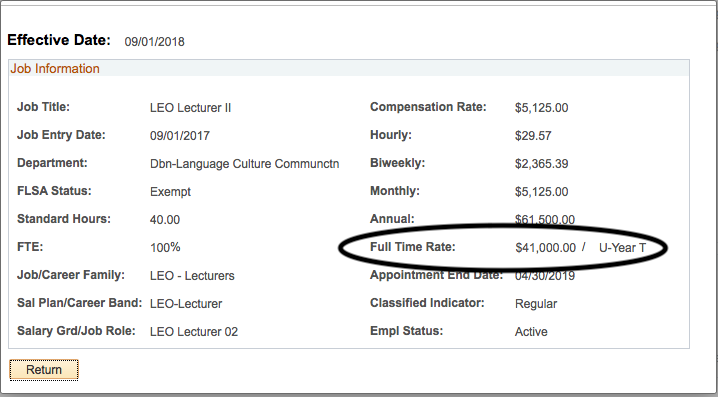 Make sure that the amount on your monthly paycheck matches up with the full-time rate listed for you on Wolverine Access (see below for how to do this). Then, make sure that the full-time rate on Wolverine is consistent with what you believe your salary should be based on our worksheet. In order to use the worksheet, you need to be sure of your years of service at the university, because years of service determine whether or not you get an equity raise and how big that raise is. 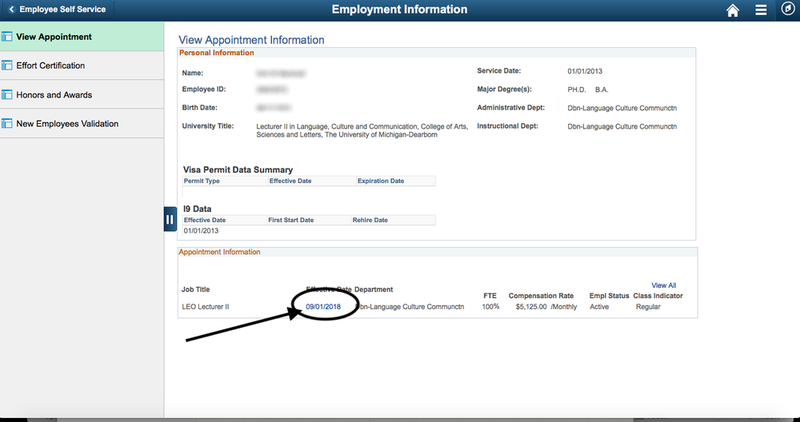 If the salary in Wolverine Access does not match up with your calculations of what it should be, this may be an indication that your years of service are either a) entered incorrectly, or b) figured differently in the official calculations than you might expect. We need to know of any discrepancies or concerns in time to alert HR by the October 22nd deadline if your equity increase is incorrect. After that deadline passes, it’s out of our hands. Find your Full-Time Rate in the right column. If the FTR listed there doesn’t match what you think it should be under the new contract, we need to know by October 20th so that we can investigate and alert HR by our October 22nd deadline. email contract-aa@leounion.org. You should expect to hear back from someone within 2 business days.